KickassTorrents and everyone involved with the torrent site are sure to go through some more hell. KickassTorrents along with all the people who were behind the massively popular piracy site (mostly Artem Vaulin though) are sure to go through some more hell. And what should you do if you’re going through hell? Well, if you’re going through hell you should keep going. That’s what Winston Churchill would tell you. Or at least that is what brainyquotes.com would tell you when you search the website for Winston Churchill quotes. KickassTorrents will have to fight with the United States Department of Justice for a long period of time before it can say a final goodbye to the court. Whether that final goodbye would constitute KickassTorrents alleged owner, Artem Vaulin, go to jail or go free is a matter of time and not opinion. The court will, hopefully, make the right call and establish justice in the land. Back to the real world now. In the real world, the legal defense team of Artem Vaulin (alleged owner of Kickass Torrents) and a team of lawyers representing the United States Department of Justice went against each other in court just this week. What was the verdict then? Well, let’s just stick to the introduction and details for a while before we finally jump to the conclusion part of this post. In any case, as we already know, the defense lawyer for Artem Vaulin (alleged owner of KickassTorrents) Ira Rothken had previously requested the honorable court to drop all cases of criminal conduct and copyright infringement against his client, Artem Vaulin (alleged owner of Kickass Torrents). Ira was of the opinion that no one, especially not the United States Department of Justice, had enough evidence against Artem Vaulin (alleged owner of KickassTorrents) to prove that any criminal copyright infringement took place within the boundaries of the United States of America and hence the Department of Justice had little, if any, legal authority in the matter. Needless to say, the United States prosecutor did not agree with the statement made by Artem’s defense team. The main argument made by the legal representatives on the side of United States Department of Justice was that Artem Vaulin (alleged owner of KickassTorrents) ran a huge operation in the form of a piracy website, torrent site to be more precise, and provided online users with copyrighted material without prior permission for the producers of that original copyrighted content. As a result of this network of distribution of copyrighted material, Artem Vaulin (alleged owner of Kickass Torrents) and his team that ran the operations at KickassTorrents made millions of dollars worth of money every year. So What’s New on Artem Vaulin And His Legal Struggles Against Department Of Justice? This week too, the legal team of Artem Vaulin (alleged owner of KickassTorrents) requested the District Court in Illinois that they had to dismiss the indictment (a criminal one) that was brought to the court by the United States Department of Justice and consequently, set his client, Artem Vaulin (alleged owner of Kickass Torrents), free to live his life (and maybe start a new KickassTorrents like Kim Dot Com). What’s the fundamental difference between the two sides? Why can’t the court just give out an order and put Artem behind bars for years and years? Or, on the other hand, why can’t the court just set Artem Vaulin free? The answer lies in the fact that Artem’s defense lawyer Ira Rothken, contends the very nature of the criminal charge that has been brought against his client. According to Ira, torrent files should not be considered as copyrighted content in and of themselves. But he doesn’t just say that. He also says that what Artem Vaulin (alleged owner of Kickass Torrents) is really being charged for is secondary copyright infringement. And that any secondary copyright infringement claim should fail since, under criminal law, infringements such as those mentioned above are basically non-existent. Should Artem be freed then without any need for more investigations or hearing in the court? One of our previous stories covered the interesting “geek” Judge John Z Lee, a district court judge, who argued (with a series of questions related to the case on what could be and could not be considered as copyright infringement) the evidence that was presented to the court against Artem. And since a Judge himself questioned the proof of Artem’s criminal activities, it gave the likes of Rothken all the more reason to contest that the case should be dismissed as early as possible. Short of that, Artem’s legal defense team wanted the judge to understand that the evidence brought forward against their client was nowhere near enough to keep Artem in custody. That is exactly what was told to the court in the latest hearing which was held earlier this week. In that hearing, Artem’s legal defense team furthered stressed the point that torrents in and of themselves could not, or rather should not, be considered as content that was under copyright protection. When Rothken was contacted by TorrentFreak he told them in an interview that Artem’s legal defense team strictly believed that the US indictment brought against Artem Vaulin of Kickass Torrents torrent files case was fundamentally defective and hence should be thrown out of the court. Furthermore, he said, torrent files were not content files and thus the reproduction and distribution of these torrent files could not be considered a crime under any existing law. He also said that if a case arose where a third party utilized the contents of the torrent files and hence engage in copyright infringement then it was after they left the Kickass Torrents site behind and hence such copyright-violating conduct was too random along with being inconsistent and unnaturally weak to levy criminal liability on Artem Vaulin, the alleged owner of KickassTorrents piracy site. He ended his comment by saying that the United States government or any other government for that matter could not use the law (the civil judge-made one) in Grokster as a form of theory when it is trying to make its arguments in a criminal case. But Rothken didn’t stop there. He further tried to cement his and his client’s position by arguing that the indictment brought to the court by the United States government was inherently flawed. For the same reason as given before. The indictment failed to even claim that a substantial enough criminal copyright violation took place in any place on earth which coincidentally also included the United States of America. Artem’s legal defense team then continued their case and then compared KickassTorrents along with all of its services and operations to Google, the world’s most popular search engine, since both provided search results in one form or the other. That’s Okay But What About The Other Side? At the other end of the aisle were the representatives from the United States Department of Justice and needless to say, they weren’t ready to concede the case either. Devlin Su, who acted as the United States Department of Justice prosecutor, insisted that the court should wait for the result of the extradition hearing that was to be held in Poland sometime in the future. Only after that extradition hearing is finished should the court decide to rule on the request made by Artem’s legal defense team. Devlin also noted that Artem Vaulin (alleged owner of KickassTorrents) would do himself a favor and come to the United States of America himself, in other words voluntarily, if his legal defense team or he himself felt that the proceedings were not going at a rapid pace since that would speed things up considerably. As far as the arguments of the United States Department of Justice went, the prosecution tried to convince the court using different lines of attack. First, they argued that KickassTorrents was indeed a piracy site that helped users download copyrighted content without any charge (in other words for free) and prior permission from the creators of that copyrighted content. The United States Department of Justice then likened KickassTorrents to a piracy flea market in terms of its operations and services. It was then that it was revealed that KickassTorrents was popular enough to raise from $12.5 million to $22.3 million every year. Su also argued that whoever compared KickassTorrents and what it did and what it stood for with something like Google was not making sense. According to the quotes published on Law360, the United States Department of Justice prosecutors said that Google was not dedicated to uploading and distributing copyrighted works. It is safe to assume that the case against Artem Vaulin (alleged owner of KickassTorrents) will take a considerable amount of time. The decision, at the moment, lies with the relevant District Court in Illinois. To put it another way, the Illinois District court will decide on how to proceed with the case against Artem Vaulin (alleged owner of Kickass Torrents). One thing remains clear that both sides are clear and firm on their stance. Artem’s legal defense team wants the Illinois District Court to dismiss the case on grounds related to lack of existing laws. While the representatives of the United States Department of Justice want the court to push the case forward so that Artem and his team behind KickassTorrent could, one day, be put behind bars and hence set an example for all the other torrent sites out there in the infinite world of the internet. Where Is Artem Vaulin Located At The Moment? Artem Vaulin is in Poland. In police custody that is. He has been in law enforcement agency’s custody ever since KickassTorrents got taken down and its alleged owner was arrested, that is Artem Vaulin. Moreover, a couple of months ago Artem Vaulin was also denied bail. Some recent reports which have been published in the media indicate that Artem Vaulin has been facing some serious health issues lately. As a result of those health problems, Artem Vaulin was allowed to transfer to a local hospital from his cell in a Polish prison. Right now, Artem is still in the hospital but is being kept under heavy watch by law enforcement agencies. While The US Department Of Justice Is Trying To Screw Artem Vaulin, Kodi, An Open Source Media Player, Has Already Screwed Many Of Its Users. KickassTorrents isn’t the only popular piracy site that is having huge problems. It is actually one of those Kodi add-ons that allow people to play any type of content their heart’s desire. The popular Kodi add on by the name of Exodus basically turned user accounts, in other words, the computer machine they were using to access content on Kodi platform, into Botnet that could potentially be used to launch DDoS attacks. Just as Kickass Torrents was the most visited torrent site in the world, Exodus is one of the most popular Kodi add-ons in the Kodi universe. Why is it so popular then? The reason is pretty straightforward actually. 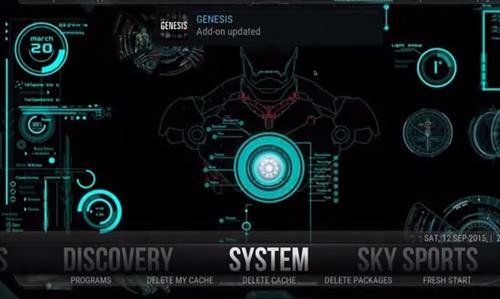 Exodus is one of the handful of Kodi add-ons left in the market that allows users to easily have access to some of the most sought-after content on the internet. We’re talking about pirated big budget Hollywood movies along with TV series like Game of Thrones (if someone still watches it? What? You do?) and the like. What’s gone wrong then since Exodus provides free content and people install Exodus to view that free content, so everybody is supposed to be happy right? 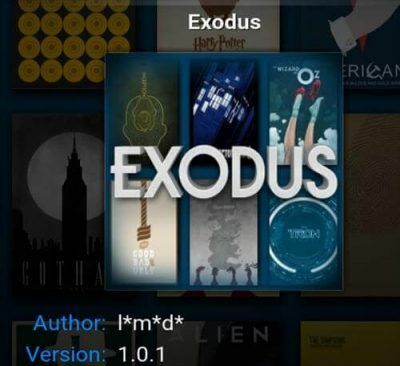 Exodus is frequently featured in the top five Kodi addons of all time. In the past couple of weeks, it has been revealed that some of the users were, unknowingly, forced to join in as a part of a DDoS attack. That obviously rang alarm bells in the wider Kodi community. And since someone was going to get blamed, in a huge way rather, for such a mess, the developer behind the hugely popular Exodus Kodi addon decided it was time to pack up, roll back the update that injected the malicious code and then just retire into oblivion. As mentioned before, this news is potentially extremely huge since millions of people around the world utilize Kodi and everything else it has to offer as the main source of content consumption. With the help of Kodi add-ons such as Exodus, people sometimes go beyond legal limits and try to watch copyrighted content without prior permission from the producers of that copyrighted content. That action, of course, is not acceptable. The Exodus developer has made some comments about the whole situation and how he/she (since we have to keep some mystery) intends to rectify the mess. If you want to know more about Exodus and how it formed a botnet to carry out a DDoS attack, go here and digest. Do You Use Steam? Here is How You Could Be Hacked.